Amazon is doing a roadshow in Kolkata to introduce their KDP platform. Amazon is hosting a 2-hour event over lunch in Kolkata on Tuesday, 8 Dec 2015. 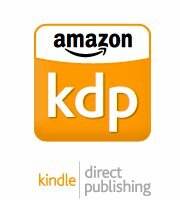 It is to introduce and discuss their self-publishing programme– Kindle Direct Publishing or KDP. Neal Thompson, Director of Author & Publishing Relations, Amazon.com will be present. Anyone who is interested in selfpublishing their book online is welcome to attend. It could be a book or a manual ranging from fiction, non-fiction, self-help, first aid manuals, medicine, science, gardening, cooking, collection of recipes, gardening, automobiles, finance, memoir, children’s literature, textbooks, science articles, on nature, poetry, translations, drama, interviews, essays, travel, religion, hospitality, etc. Any form of text that is to be made available as an ebook using Amazon’s Kindle programme. Details of the event are given below. Craig Mod has a fascinating article for Aeon, talking about the unfortunate stagnation in digital books. He spent years reading books almost exclusively in ebook form, but has gradually moved back to physical books, and the article is a long and detailed exploration into the limits of ebooks today — nearly all of which are not due to actual limitations of the medium, but deliberate choices by the platform providers (mainly Amazon, obviously) to create closed, limited, DRM-laden platforms for ebooks. You might never have heard of Charles Edward Mudie, but in the middle of the 19th century he was the largest buyer of books in the world. Mudie, a British publisher and proprietor of a hugely successful for-profit lending library, was so powerful that his fellow publishers hesitated to sign writers whose works he refused to carry. He was feared by working novelists, many of whom rewrote portions of their books to avoid his censure. Who is the biggest publisher of foreign literature in the U.S.? It’s not Random House, and it’s not a specialized indie outfit like Europa Editions or New Directions. It’s Amazon.com. Last year, the company’s translation imprint, AmazonCrossing, brought out 44 new English translations from a diverse slate of literature, including Icelandic, Turkish and Korean. That’s more translated titles than any other American publisher, according to data from Three Percent, a literary translation blog at the University of Rochester. Sultan Singh Gautam, the founder of Gautam Book Center, does not give a damn about Flipkart, Amazon and the like. Most of the books he sells — some he publishes himself — are unlikely to be on the radar of people running these companies.